Oenophily - For the love of wines. Serving temperature can have a profound impact on both the taste and mouthfeel of wine, so part of my getting ready to taste wines with customers is to figure out what temperature I want to serve them at. A consideration of the grape varieties and the wine style usually provides a good starting point, but there can be surprises. 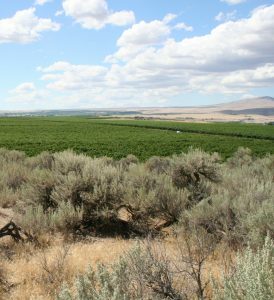 There are many ways that temperature affects how we perceive wine. A cooler wine gives off less aroma than a warmer one. Because smell is a big part of taste, this changes both what goes on in your nose and what happens in your mouth. Make a wine too cold, below 40°F or so, and it won’t have much of any flavor at all (which, it should be noted, can sometimes be an advantage with less delicious wines). 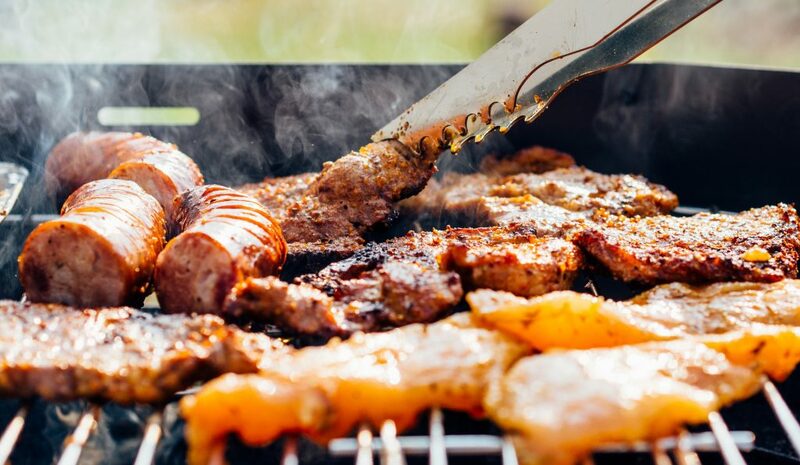 At the other extreme, as wine gets too warm (above 70° to 75°F), the alcohol starts to take over, masking the taste and giving an unpleasant burning sensation. A lower serving temperature can give a wine more body and, on warm days, make a wine more refreshing. It also reduces the tongue’s perception of sweetness, which is why ice cream tastes great when cold but overly sweet when melted. 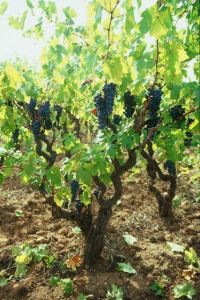 On the other hand, acidity, bitterness, and astringency (tannin) are all more noticeable in cool wine than warm. Commonly given advice is to “serve white wines chilled and red wines at room temperature.” This leads people wrong in a number of ways. All too often “chilled” becomes “straight from the refrigerator”, a temperature that is almost always too cold. Similarly, “room temperature”, especially on a summer day or when the room is the kitchen, is likely to be too warm. Even when it isn’t, many red wines will benefit from being chilled slightly below what most of us would consider a comfortable room. As with many other things about wine, the right serving temperature depends on which bottle you have in front of you. 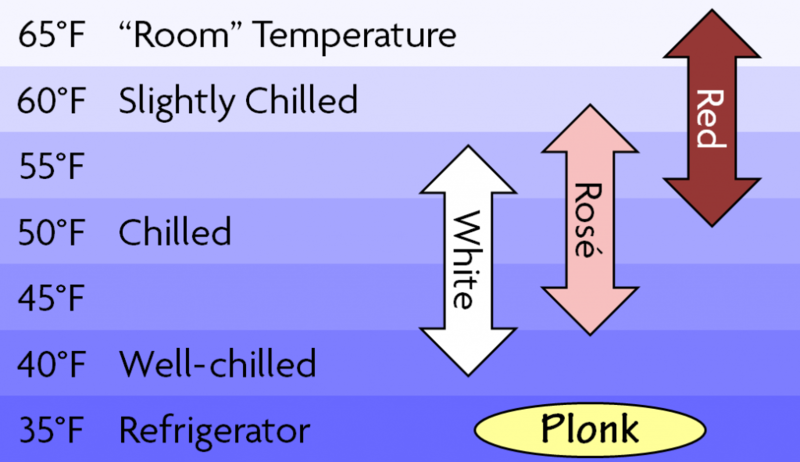 The chart below gives approximate temperature ranges for serving red, white, and rosé wines. Richer, fuller wines will typically be best in the warmer part of the range. Lighter or sweeter wines towards the cooler part (with the combination of light and sweet served coldest). Sparkling wines also are served at lower temperatures as cold helps keep the carbon dioxide in solution, preserving the bubbles and keeping the wines from becoming too frothy. Typical serving temperature ranges for wine. Returning to our narrative, the fairy tale solution of opening new bottles until finding one that was just right was unavailable to me, so I was just going to have to work with what I already had. The wines that seemed too thin or sweet I chilled a bit more. The ones that seemed odorless or flavorless I let warm up a bit. And when I went back to re-taste them all, things were much better. The moral of the story is listen to your taste buds. (Well, that and… the bears should be truly thankful Goldilocks didn’t find the key to the wine cellar!) By taking advantage of the ways the temperature affects the perception of wine you can make it more enjoyable. Besides, your taste buds work differently than everyone else’s– maybe a little experimentation will help you discover why your friends are raving about a wine you think is only so-so. After all, the three bears prove that even in a fairy tale not everyone likes things the same way. If you have read the About page on Oenophily, you know that I have some issues with wine ratings. Briefly stated, I think that they are both the beginning and end of too many people’s buying decision process. Wine just isn’t that simple and to find the most satisfying ones it’s necessary to look a little more deeply into the bottle. I’m not the only one who sees this. In A Sauvignon Blanc tasting that raises questions about point scores, Steve Heimoff writes about the shortcomings of wine ratings from the reviewer perspective. 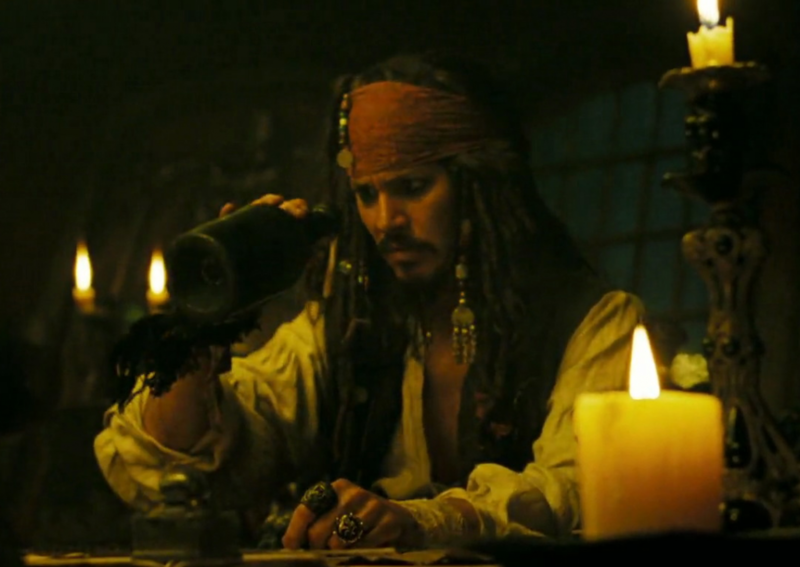 During a blind tasting, he finds a wine he really likes. Though the wine achieves a good score, it is still in the bottom half of those reviewed. This result leads him to wonder: does the 100-point scale truly measure what is important in wine? I like Steve’s post a lot. (If you haven’t already, go read it!) To my thinking, it highlights both the good side and the bad side of ratings. They serve a useful function, providing information about wine quality and similarity to a certain flavor profile. On the other hand, that perfect profile is highly specific and it won’t always match our personal tastes or the food we are eating. Clearly, these people are not buying beer in the same places I am- my local store carries well over 400 different brews! However, dubious shopping comparisons aside, the intended target for these words is plain to see: people who are afraid of wine. Those of us in the industry may like to ponder the demographics behind why two companies believe this is a good time to launch a product targeted at people with oenophobia, but a better question for all of us might be where does the fear come from in the first place? OK, sure, wine is complicated if you want to get into all the details. However, the same can be said about Game of Thrones, and I don’t see anyone using that as a reason to miss Sunday’s season opener. Of course not. Understanding all that complexity may be fun, but it isn’t really required to enjoy either the wine or the show (and, frankly, it probably matters a whole lot more for the latter). So… maybe it’s not the complexity, or the wine, that people are afraid of. Perhaps it is their wine loving friends. After all, we can get pretty carried away talking about all those details and nuances, quickly leaving a newcomer, if you will, racked off in the lees. I was recently guilty of this myself. My brother asked for some advice on wine pairing and I gave him a response that was, um, overly complete. Having found sibling advice unhelpful, he turned to the staff at his preferred store and received a recommendation that was trendy, but one that also changed his original food plan. Because I got bogged down in the details and didn’t help him with what he really wanted to know, I lost an opportunity to introduce him to one of my favorite flavor pairings. Just as a scriptwriter doesn’t try to put everything about the show into a single episode, we need to remember that we can’t cram all our wine knowledge into the tasting of a single bottle. And while our friends can go binge watch 5 seasons of Game of Thrones to catch up with us concerning the show, the same approach doesn’t work with wine. Not at all. If we can just keep these things in mind as we share our passion, perhaps we can conquer Fear of Wine and recruit new allies in our adventures. It’s beginning to look a lot like Christmas. Oh, no, not to those of us enjoying the first warm days of spring and looking forward to summer. But for a consumer products company that needs to get something manufactured, boxed, shipped, and in the hands of customers by December 24th, Santa is at the door. Now. Which explains why pre-order opportunities for pricey new gadgets are showing up on crowd-funding websites. This year, oenophiles (and their friends) are being enticed by not one, but two products promising better wine through technology: Kuvée: The Smart Wine Bottle that Keeps Wine Fresh, and Somm by SYNEK (pronounced “cynic”), A Wine Dispenser That Learns Your Palate. Of the two, Kuvée has the far more elegant design. It is a wine bottle size device (slightly taller) with a built-in color touchscreen and wifi. The wine comes in 750ml aluminum bottles that are inserted into the bottom of the unit. Kuvée has partnered with several well-known wineries to deliver branded wines in its proprietary format, and they advertise that they will have 48 wines available when the product launches. The aluminum bottles have RFID chips so when you insert one into Kuvée, it knows what wine it has and can display the wine label on the screen. Touch the screen and you can get more information about the wine. You can also provide feedback and order wines through the touch screen. To pour, just lift and tip Kuvée like you would a wine bottle. There’s a valve system inside that lets the wine out while preventing air from getting it. Somm is a counter-top appliance with built-in pumping, refrigeration, and aeration systems. On the front, it has a pouring handle, a spout, and a door that provides access for inserting the 2.25 liter wine container called a “Sylo”. The wines have private label names as SYNEK purchases in bulk and fills the Sylos themselves. Somm’s Kickstarter page announces “100’s of wines available” though the small print says they will be launching with just 30. Like the Kuvée, Somm recognizes which wine has been inserted it. One of the system’s more interesting innovations is that it uses this information to adjust the temperature and aeration settings to match the wine. Instead of a touchscreen, SYNEK provides an app for your smartphone or tablet for interacting with Somm. The apps will display information about the wine in the unit, allow you to rate it, and help you order more wine. I have no doubts they can deliver. The technology to keep oxygen out of wine and extend its life after opening has been around for a quite a while; after all, it’s used inside box wines. (And before complaining about “that swill”, be aware that the Wine Spectator has rated some box wines as high as 89 points). Recommending new wines based on what you’ve liked in the past is equally straight forward. The big limitation here is the wines themselves. Even if both systems eventually do have hundreds of wines, that’s just a small fraction of the thousands of wines available worldwide. It’s not enough diversity to satisfy the true wine lover or to educate the new aficionado. They come in proprietary containers, so you can’t just pop into the store to buy some more. You have to order the wines for these things in advance. 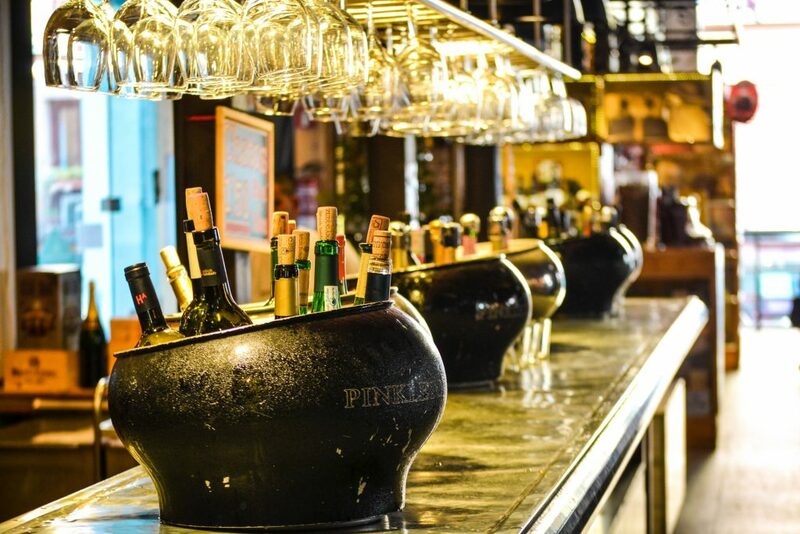 To support hundreds of wines, each device will need thousands upon thousands of customers. Active customers. If they don’t achieve a large enough user base, there is a chance that each will be stuck with its small starter set of wines. Even worse, perhaps no wine if there aren’t enough sales to support the special containers. A risk that is increased by the fact that there are competing systems. I think there are really interesting things going on with each of these systems. If they worked with any bottle instead of the proprietary containers available from each supplier (not a simple request, I understand), they would be a lot more exciting. As it is, I see a shortage of utility and a lot of limitations. So, in the end, we are left with the question: Who do Somm or Kuvée really help? If your primary goal is to be able to have just a glass or two of wine a day without the rest going bad, there are better choices: either find one of the good box wines or invest in one of the wine preservation products that will work with any wine. On the other hand, if the goal is to learn more about wine, you will quickly run up against the limits of either Somm’s or Kuvée’s wine selection. Moreover, with the Somm you won’t even know who produced the wine, a further impediment to learning. Bottom line? If you’re interested enough in one of these for yourself to plop down $200 (the current going pre-buy price for either) now for delivery in the fall, go for it. Hundreds of other people have. But if you are thinking of getting one as a gift… er… maybe your friend would prefer the equivalent value in wine?